Selection of material is critical in modern day applications. DAS have the facilities and expertise to perform independent corrosion testing so that protective coating or material selection meets your requirements. 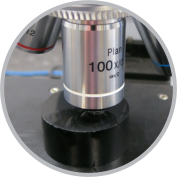 Our Scanning Electron Microscope (SEM) with Energy Dispersive Spectroscopy (EDS) allows our experienced staff to examine corrosion products and morphology.